Give 100,000 of the smartest and brightest students of rural Ethiopia access to the technology they need. Partner with us and 68 Ethiopian secondary schools to provide an opportunity to those who need it most. Provides for a Learning Lab. Help the brightest and hardest working students in Ethiopia. These students want the same future as all students everywhere. They want a successful career. From a family with a few hundred dollars income per year they are bootstrapping their way to successfully entering and graduating from a university. There is a big gap. That gap is technology. They need technology to be successful in school as well as in life. The further they go the more they need it. Your help can make the difference for may of them. Your money work as hard as you do. We started 54 years ago to work as teachers in Ethiopia as Peace Corps Volunteers and have been hard at work ever since. During that time Ethiopia has changed, education has changed and we have changed. 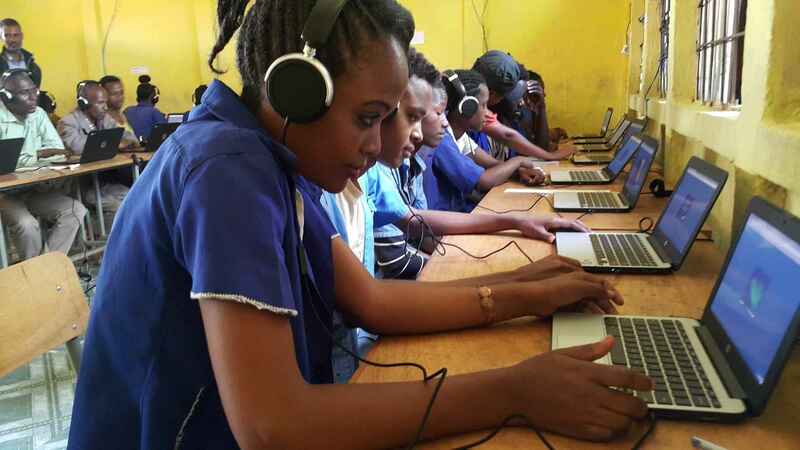 We are using the financial success we attained in this changing world to invest where the need is most and our ability to help is maximized, that is educational technology in the poorest part Ethiopia. All the donations are spent on the educational technology needed. All the money spent on US expenses are donated by the ET Learns founders. All the money spent in Ethiopia is provided by the schools receiving the technology. Everybody does what they can do best.